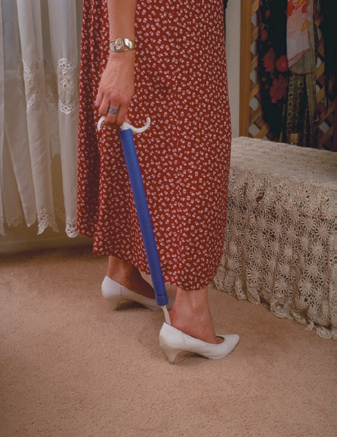 The long handle shoehorn and helpful dressing aid - all in one! The DressEZ shoehorn offers you a longer reach than virtually every other shoehorn in the world. With the DressEZ there is no need to bend over when slipping on your shoes. 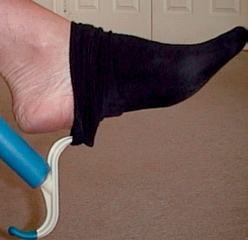 Plus the DressEZ aid is more than just a shoehorn. Click on alternative views to see just a few uses. Available in 24" and 30" models. Smooth and rounded push hook slides safely along skin. Inside shaft is resilient plastic which will flex if accidentally sat on or stepped on. The very economical price is less than the traditional stick and shoehorn. 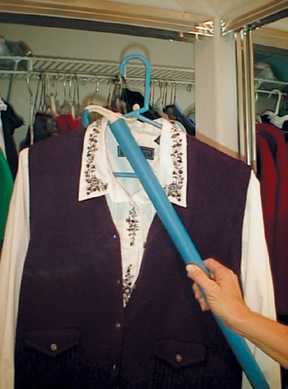 The DressEZ® can reach clothes hangers from clothing rods high in closets, as well as, pick up clothing from the floor or reach shoes from under the bed. Help pull on clothes after hip surgery. 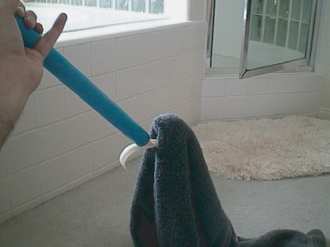 The S-hook helps to put on and take off socks too. The DressEZ is a very slick little dressing aid. 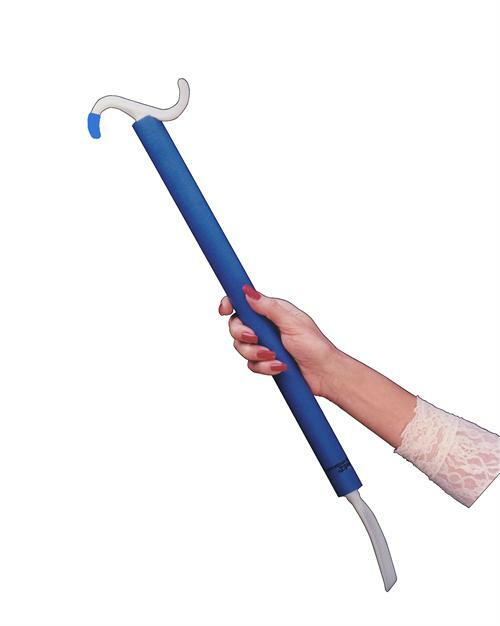 The blue soft rubber end on one side of the hook lets you drag clothing or other things but comes off of the plastic hook if you're not careful. I glued mine on with gorilla glue and this eliminates the problem. I highly recommend this little jewel as being about as handy as anything this small and simple can get. 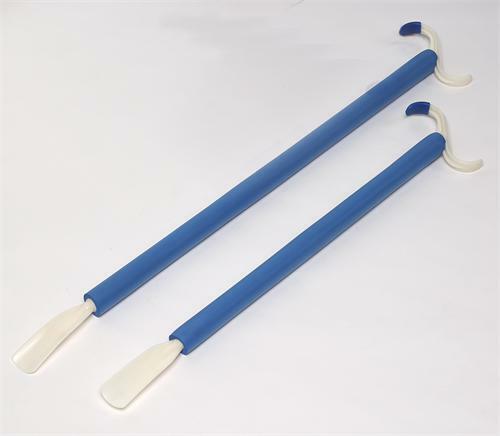 I love these & it is the ONLY shoehorn I like to use!